Home/Ecolo-News/Why a Kitchen Trash Compactor? One of the main concerns about installing a trash compactor is the risk of odors but today many compactors come with odor seals (which have a life span of six months) to keep the compactor and the space around it smelling fresh. Some models also come with connection plates, which can be washed thoroughly as well as easy access through its door to clean the entire appliance in order to retain its hygiene. There is also the fact that they are an environmentally responsible option since they have been proven to play a role in reducing landfill. Trash compactors have certainly come a long way from when they began when they had limited effectiveness. New technology and new sleeker designs mean higher levels of compression force resulting in more efficient appliances. Many are also programmable as are other kitchen appliances and they come in neutral colors which work into any kitchens décor. Some compactors today have 3,000 pounds of continual compaction force which is the maximum compaction force currently available for all trash compactor’s this value comes highly recommended especially since it comes with a compaction ratio of 6-1 meaning the trash is reduced to 1/6 of this volume. That is extremely good news since it means even less trips to take out the garbage, fewer bags and less waste as a result. 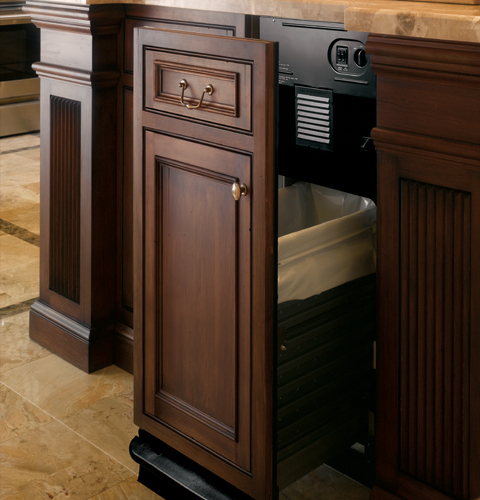 As a convenience, people ahead of the curve have been known to buy two compactors for one kitchen so that they can use compactable kitchen waste in one compactor and household recyclable waste such as cans, bottles, and food packaging separately in another compactor for easier processing and recycling. 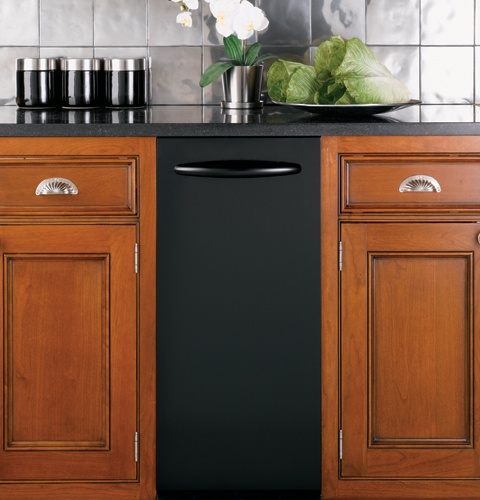 Today’s modern trash compactors are an excellent means of efficiently storing and processing kitchen waste freeing up time for the homeowner as a result because it means fewer trips to take out the trash and less bags as a result using them is beneficial not just to the homeowner but to the environment especially since they also play a role in reducing landfill. 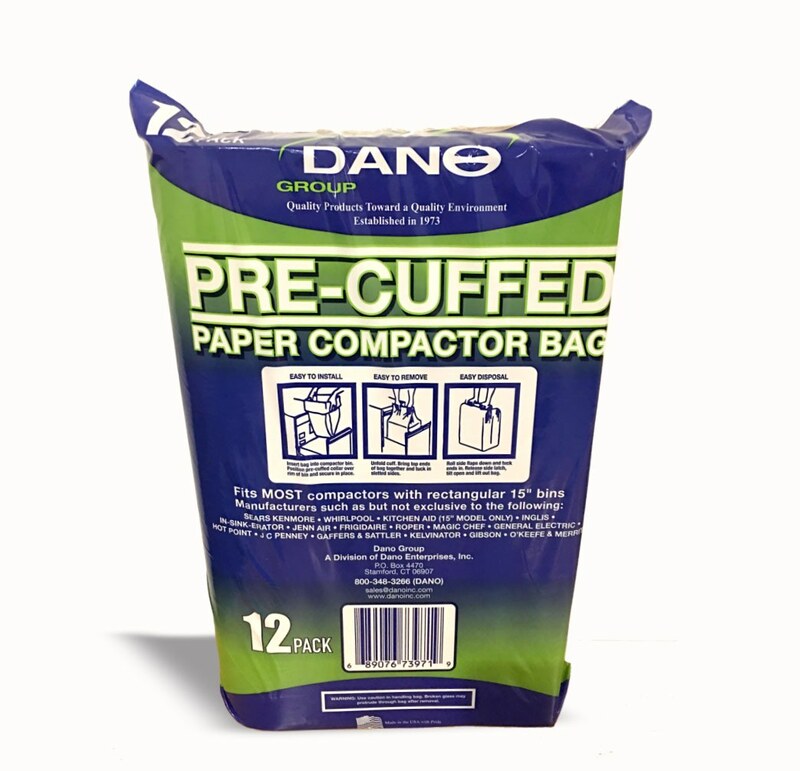 Dano has been the premier supplier of compactor bags for all makes and models since 1973 and is the manufacturer of the ultra high quality pre cuffed paper/plastic liner compactor bags. 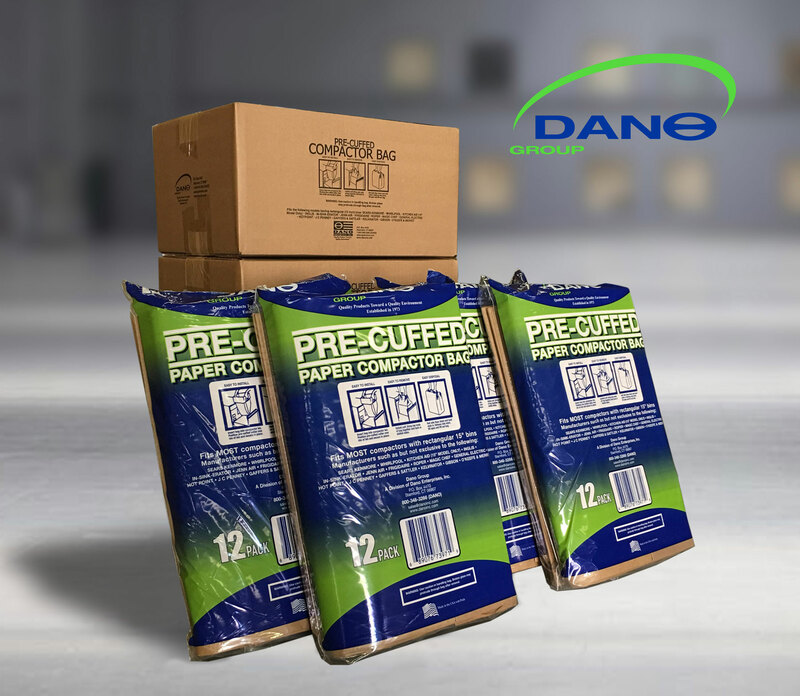 Dano will be the supplier of a number of the finest compactors on the market thorough GE and Whirlpool. We will deliver directly to your door. Shop for compactor bags now!